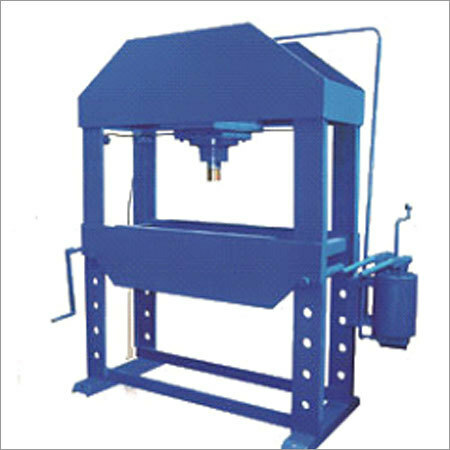 The heavy duty industrial design of the array of H- Type Hydraulic Press Machine comes with 4 to 1 safety factor. PLC Control along with digital operator interface ensures to provide the world class efficacy of the machines in different applications. The machine comes with overload protection with minimal deflection design. With IEC rated electric components, high grade panels and oil cooler, the range provides the best performance. Full tonnage during stroke or cycle makes the range highly demanded in the industry. They are designed to provide maximum access to the tool area for the tool changing as well as component feeding applications. The slide guidance of the range can be twin pillars as well as face slide. The hydraulic power pack is designed inbuilt with high grade valves that are manifold for simple & quick maintenance. The pressure relief valve is designed to protect the machine against any overloading of the press.